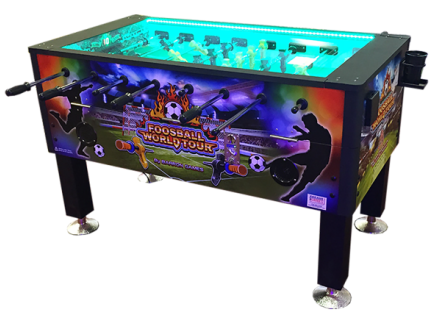 While this isn't made for home use, it is the perfect fit for commercial arcades or bars! 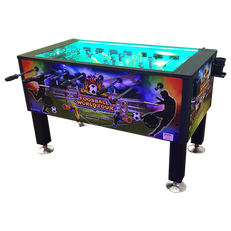 Barron Games is known for making entertainment and they didn't skip a beat with the features that are available on this model. 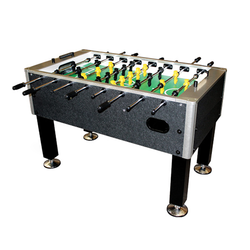 It has an enclosed top case to prevent people from stealing or losing the balls. It features a coin mechanism to profit from having this purchase in your facility. It also has music and lights that will draw people in and keep them playing. While it isn't ready for the next professional tournament, it does feature a majority of components we look for when looking at a table for the highest rating.